The bid price of the investment options offered via AXA Wealth Management (HK) Limited's investment-linked assurance schemes (ILAS) are set out below. Not all investment options in the list below are available to all ILAS products. For further information on the availability of the investment options, please contact your financial consultant or call our customer service hotline 2802 2812 and refer to the relevant principal brochure. For details of other investment options, please click here. 1) The above risk ratings are for reference only. 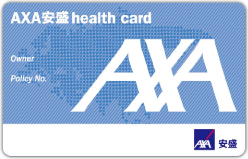 Risk ratings are assessed internally by AXA Wealth Management (HK) Limited with reference to the following factors: (1) volatility of the underlying funds and/or relevant fund sector; (2) investment objective and/or (3) fund management style. For non-US$ /HK$ denominated funds, the potential effect of exchange rate movements relative to the US$ / HK$ has not been taken into account in determining the risk ratings. Potential investors are advised to consider their own financial circumstances and risk preference when making investment decisions. 2) Please do not rely on the information provided in this website only. You should read the Principal Brochure of the relevant investment-linked insurance plan for details, including charges and risk factors before investing. 3) Please also refer to the offering documents of the underlying funds, which are made available by us, for more information on risks. 4) Investment involves risk, including fluctuation of market price of underlying investments. ** Its underlying fund is authorised by the Securities and Futures Commission ("SFC") under the Code on Unit Trusts and Mutual Funds, but not authorised or regulated under the SFC Code on Real Estate Investment Trusts. Such authorisation does not imply official recommendation.